On on Wednesday 13th my father had cataract eye surgery and it went well. He started seeing a small like bubble on the white of eye near his nose and it was tiny. This Saturday 16th he started to notice it was getting bigger and its oval like shape instead of a round bubble. It also moves when he moves his eyes and curious what it is. hello i am currently 16, i wear GP (Gas permeable) Contacts which shapes my cornea to give me 20/20 or close too that slows down Myopia. when i was 15 during the summer, i use to play video games all day... and never felt eye strain. But towards the end of the summer i started having eye strain if i go on the computer for 15-20minutes or on my phone. I went to go see a ophthalmologist, but he told me everything was fine and i had myopia in one eye, and my family eye doctor said i was fine too. i've tried everything to fix this eye strain as it impacts me on my daily tasks. 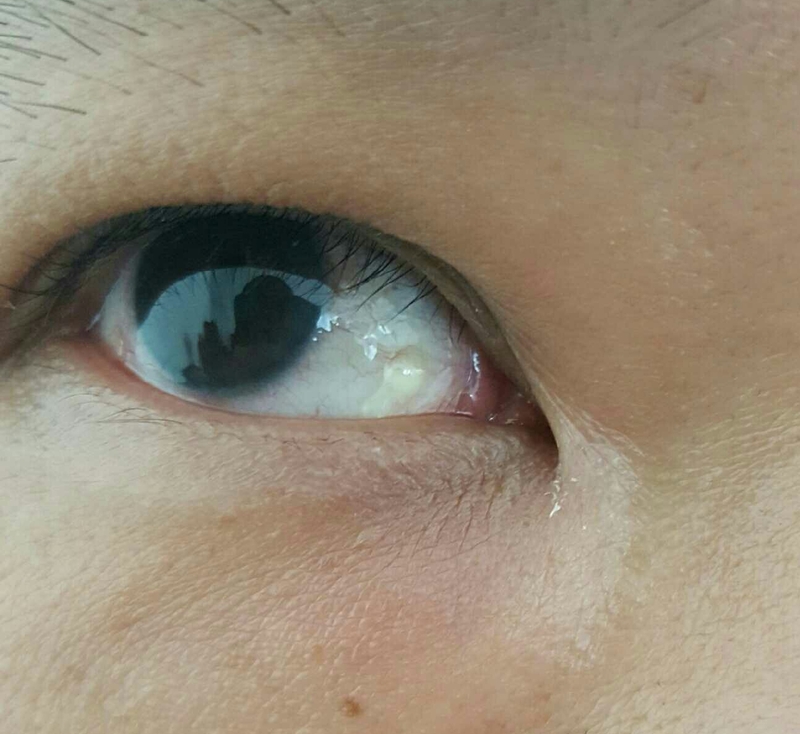 i usually wear my GP contacts for 7-8 hours and when i take them off, my eyes feel fine. But throughout the day around 1pm i start to feel eye strain and my muscles feel sore if i extend my eye movement anywhere. i know this is just the forums, and you guys can't really diagnose me.. but i just kindly ask for you guys to put your suggestions down what you think this may be. my thought is: the way the GP contacts shape my cornea. The light that enters my eyes is warped causing my eyes to strain to see. I am 83 years old in reasonable state of health. I walk daily for 30 mins and do normal daily activities including some driving. I was diagnosed with early dry AMD and slightly increased eye pressure in Sep, 2015 when I went to the Doctor for normal check up. Still my eye sight with glasses is OK 6/6 and 6/9. Eye sight without glasses is also reasonable. The Doctor asked me to have OCT, Manla, Disc eye tests done which did not give a bad picture yet. Visual Field Central test was also done which showed less that 10% problem. I was prescribed Xanovit Extra (Lutein, Zeaxanthin, Silymarin, chromium), Travatan and Betopics (Betaxolol) eye drops. Earlier Co-Dorzal (Dorzolamide 2%+Timolol0.5% ) were also used but stopped as it reduced my heart rate to 50 per min.